Bred by Kordes in 1958 and worthy of the title we use for it: “Rose of the Century” because of it’s extremely healthy and free-flowering, easy care qualities. Inducted to the Rose Hall of Fame in 1983. 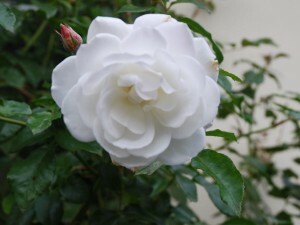 Iceberg is planted in gardens throughout Australia and even the most uninformed gardener tends to recognize this rose. Because it is almost thornless, Iceberg lends itself to planting in public spaces and along walk-ways. The very bushy, compact growth habit makes Iceberg the ideal rose for budding to a standard understock and has been our biggest-selling standard rose for many years. In our harsh Australian landscape, Iceberg offers a cooling effect when you see it planted in a row with a green lawn or hedge around it and flowers unashamedly in all weather and all conditions. There are many ‘sports’ of the original Iceberg including the Climbing form and all the sports in a variety of colours are just as vigorous and free-flowering as the parent! I have 2 standard icebergs that have not been pruned hard enough over the 20 yrs. they have been in.They have heavy old wood and i fear that heavy pruning into old wood will be the end of them.do you have any advice on what to do with them ? many thanks tony. I am interested to purchase 01 Iceberg rose plant bush and 01 iceberg climbing rose in India.Can any gentleman suggest me about the agency who can supply above roses to India. How long does it take from pruning to flowering of a standard iceberg rose at this time of year ? I have 62 icebergs they are the most beautiful rose for our Adelaide environment. I have only white, my front garden is just lovely and I don’t mind the pruning. I am having difficulty with my iceberg rose. Getting a lot of dead foliage and now it is showing a wet substance on the leaves. Can you help me please. I planted a Monrovia Iceberg Rose from Lowes’ back in late April. Planted in rich soil. It did really well, but seems to have declined over the past few weeks. Some leaves dropped off, and very little blooming. It is in a area were my other rose does well. Been using Miracle Grow mix 2x week. I covered it with black dyed hardwood mulch with Preem in it. Maybe the mulch is the problem, maybe it is busy rooting, and can’t grow as well. Not a rose expert. Hi, I bought 13 bush icebergs for the front of my house, the Gardner I paid to plant them has put them right at the back of the garden bed on the edge of verandah then there is a 1.5m gap to the front where he planted micro box hedge. I’m not a Gardner but I would have planted the rose more towards the middle allowing the bush space. What do you think? I could try re-planting. Thanks! All of the best for 2017. I have planted 41 standard iceberg roses in a Labyrinth garden at Marlbank Vaalriver , Vanderbijlpark SA. They are looking stunning right now. My daughter wants to get married in that garden on 18th March 2017. When do I cut back or prune to make sure the roses will be in full bloom, and what do I feed them? I am not as familiar with your weather zone as LUDWIG TESCHNER and his staff will be so I suggest you give them a call and ask for their advice. We, here in Australia, recommend pruning 40-45 days prior to an event to be sure the roses are flowering. However, I am also rather conservative and would not do TOTAL PRUNING but rather CONSTANT PRUNING so no matter what the weather might be in the lead-up to the event, you will DEFINITELY have flowers for the event. I suggest regular fertilizer applications and most definitely weekly applications of seaweed / fish solution to ensure the plants retain lots of healthy foliage – this in turn will produce masses of blooms. I adore icebergs and would like to grow them in large pots on our balcony. They would be in full sun, with exposure to sea air (2 houses back from the beach) and some wind at times. Could you please tell me whether icebergs would be suitable in this situation? Can you please give me advice on how much spacing i should be planting the icebergs apart? Thanks for the article, a very informative read! I’m planning a wedding and would love potted white roses down the aisle. After the wedding (maybe in a week, maybe in a couple of years!) I’d then like to plant them into the garden. Would you have any advice on whether Iceberg or Brindabella bouquet would be better suited to this? Or another variety that I haven’t yet come across? I’m between the New England tablelands and the North West slopes, it can get quite cool. Hello. I recently bought 8 iceberg rose bushes. I turned and fertilized the soil and planted with fertilizer. My roses perk up at night and droop during the day and some have yellow leaves. They have only been planed for one week. Is this normal? I do not want to overwater the plants or kill them. Please help. Thank you. Do standard Iceberg roses need any special care? I have several 2′ standard Icebergs. I wish they had more leaves and flowers. Also, when I prune them in the winter, how far back should I prune these standard Icebergs? Hello, I have recently planted two climbing icebergs, however, we are also trying to get grass seed to take in the soil adjacent to the garden bed. I am watering the grass area with a sprinkler for 15 minutes daily but the soil around the roses is also getting quite wet. I am worried this will be too much water for the roses and not sure what I can do? Hi- I bought some white ‘iceburg’ roses but they seem to have a blush to the bud. I am hoping they are bright white when they open. Does anyone have experience with this? I appreciate since I might need to return the plants. We have planted 2 Iceberg climbing roses. Growing very well been 6 months but no sign of blooms. We live in the south west of western Australia and would appreciate any advise. I just moved to my new home & I have 4 standed icebergs in the existing garden, although I’m a keen gardener never had any roses till now. Do I dead head them as they appear or not,2 flower beautifully & the other 2 not so. 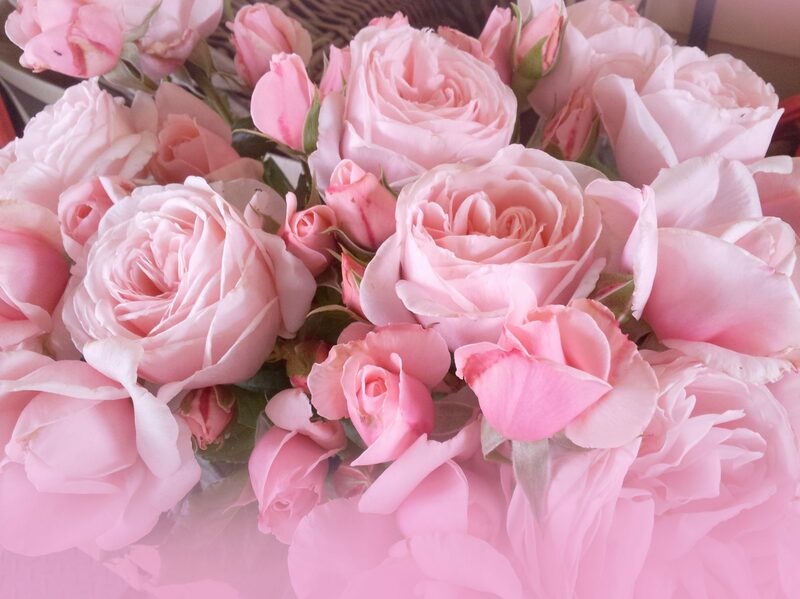 I’ve recently got in my apartment a lot of the brilliant pink iceberg, and some of the newly came out petals are fairly light pink or just white, with a tinge of pink. And it was these type of petals appear to bend over or fever fall off before they’re in full bloom. Would you know what could be the problem? Always love roses and it’s the 1st time I’m actually ‘raising’ one, keen not to keep them healthy. Appreciate your tips! Hi Diana, I have placed it by a north facing window in the living room (a light filled room all day) and there’s direct morning sun on it for 1-2 hours, rest indirect but still bright. Noted re the daily watering need- am I understanding it right that I need to let the water drain through on a daily basis? Hello, we have an iceberg bush (several actually). I am new to roses. My husband mentioned dead heading them and I accidentally “pruned” one. It’s mid summer here. What can I do? Have I killed it?? Please help.